After MWC 2019, Asus has started teasing their next flagship in the zenfone series, and it’s reported that they set to unveil Zenfone 6 globally in Valencia on May 16. As usual, before we experience the Zenfone 6, the leaks have already arrived, thanks to Evan Blass. Last year, Asus Zenfone 5Z turned out to be their most underrated smartphones, which even we also felt as a great device. Now Asus is slowly moving away from notch and getting more in trend with the sliding design like Mi Mix 3, Honor Magic 2, Lenovo Z5 Pro, etc. As per information from other sources, this year Asus is going to launch not one but two flagships made to serve a different niche. one among them will be a 5G variant. 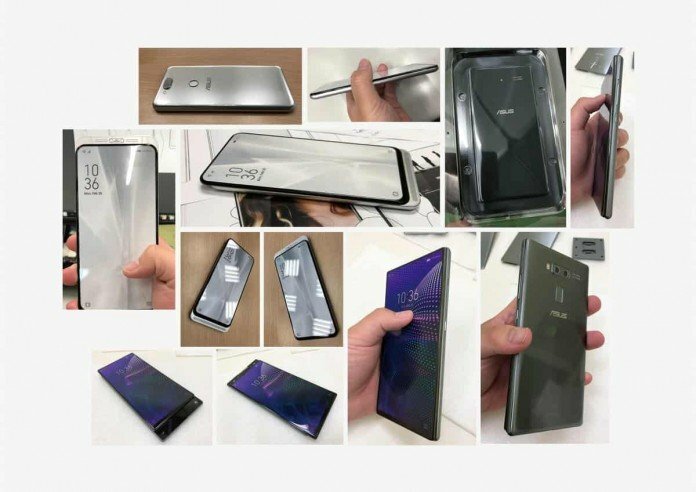 Evan Blass, one of the renowned tipster has posted Asus Zenfone 6 images on his Twitter. From the images, it’s very clear that the sliding mechanism is different from other smartphone designs as in Zenfone 6, the display can actually slide both ways – up and down. I know that this reminds you of ‘Nokia N95’, but let’s just get into more information first. One of the Zenfone 6 variants will have a dedicated camera module, and the other will be more focused on music [ring any bell? duh, N95 has this]. Sliding down the display will reveal dual selfie camera where one of the sensors is a wide angle shooter. Sliding up the screen shows a massive speaker tuned by Harman Kardon. The display has rounded corners but there is a huge chin at the bottom of the display. The fingerprint scanner is rear mounted which will be much faster than the in display fingerprint scanner [ultra-sonic] found in Samsung Galaxy S10. The other Zenfone 6 variant is much likely to be the 5G variant which is made keeping photography in mind. Sliding down the display will show the dual camera with dual LED flash and while sliding up it reveals touchscreen panel for rear camera controls. The design of the phone is more premium with a rectangular form factor. Both variants are expected to have Snapdragon 855 processor paired with 6 gigs of RAM and 128 Gigs onboard storage on the base variant. Actually, last year, Asus was supposed to launch Zenfone 5 in India but dropped it at the last moment. Nonetheless, we had a chance to actually explore the Zenfone 5. Unlike last year, We’re hoping that this year, Asus will launch both variants of Zenfone 6. Considering the price of Asus Zenfone 5Z, we believe the price of Asus Zenfone 6 could be somewhere in and around 40,000 INR. The 5G variant could cost even more, but we’ll keep you posted if we find any other information.